The American Society of Plant Biologists (ASPB) Privacy Statement demonstrates our firm commitment to privacy. The policy discloses our information gathering and dissemination practices. This Privacy Statement sets out how ASPB uses and protects any information that you give us when you use ASPB services, systems, websites or any affiliated website that ASPB controls (including but not limited to Plantae, ASPB section websites, and conference websites). It applies to data shared online, stored in our computer systems, or available in hard copy. With guidance from our data governance audit, our commitment to data security has always been a priority. Our procedures and policies, including this Privacy Statement, have been reviewed and updated to align with the introduction of strengthened data protection rules across the EU with regards to personal data. We are committed to ensuring that your privacy is protected. Your personal data that we collect and hold in any format is important to us, and it is handled in accordance with this Privacy Statement. When we ask you to provide information by which you may be identified when using our websites or any other ASPB services, you may be assured that this data will only be used in accordance with this Privacy Statement. We will always explain clearly what data we are collecting about you and why. We will only collect data we need to give you a better experience; to improve and deliver our services to you; and to meet our responsibilities to you. This statement sets out the basis on which any personal data we collect from you, or that you provide to us, will be processed by us. Please read the following carefully to understand our approach and how we will handle and treat your personal data. By registering as a member or user of any of our websites or systems, you acknowledge that you have read and understood this Privacy Statement. ASPB is a professional society devoted to the advancement of the plant sciences. It publishes two world-class journals, and it organizes conferences and other activities that are key to the advancement of the science. The ASPB Online Community provided by the Society is designed to facilitate communication among individuals for plant science-related purposes. ASPB is the Data Controller and Data Processor of the information that you provide to us as a member and to access our services, training and events. We also work with selected third-party organizations to provide ASPB services. These third-party processors must meet the same stringent data standards that we set for ourselves. Information you give us: This is information that you provide when you interact with us by filling in forms on any of our websites or systems or by corresponding with us by phone, e-mail or otherwise. It includes information you provide when you register to use any of our websites, services or systems; participate in discussions, surveys, ballots, grant and award applications, abstract submissions, or meeting registrations; submit a query; and when you report a problem with this site or any of our affiliated websites. The information you give us may include demographic information such as, but not limited to, your name, address and phone numbers, unique identifiers (like passwords), financial information (like account or credit card numbers), e-mail, personal description, photograph, login and password details, responses to surveys, media capture (including video and voice recordings) and other discussions which take place on this site. Member and User Information: As a member of ASPB or a user of our various websites and services, we use contact information from the sign up and registration forms to send you information about membership discounts, renewal and other membership-related information, general ASPB and Plantae information, and regularly scheduled news and informational emails. Member and user contact information is also used to get in touch when necessary for administrative purposes. The online Membership Directory is provided for informationalpurposes, and ASPB members may opt out of being listed in the Membership Directory at the time of application or they may contact ASPB to be removed. ASPB will use email as a method to communicate with members and colleagues regarding ASPB-related information. Users may opt-out of receiving emails at any time. Emails sent may include but are not limited to the ASPB News, the Signal, and other notifications regarding ASPB-related information. Technical information. This may include the Internet protocol (IP) address used to connect your computer to the Internet, your login information, browser type and version, time zone setting, browser plug-in types and versions, operating system and platform. Unique identifiers (such as passwords) are collected to verify the user’s identity. Information about your visit. This may include the full Uniform Resource Locators (URL), clickstream to, through and from our site (including date and time), products you viewed or searched for, page response times, download errors, length of visits to certain pages, page interaction information (such as scrolling, clicks, and mouse-overs), methods used to browse away from the page, and any phone number used to call our helpdesk or social media handle used to connect with our customer service team. Location data. We collect information through our websites as to your real-time location to provide location services where requested or agreed to by you in order to deliver content, activities or other services that are dependent on knowing where you are. This information is also collected in combination with an identifier associated with your device to enable us to recognize your mobile browser or device when you return to our site. Information we receive from other sources. This is information we receive about you from third parties we work with. On occasion, ASPB may rent our database list to other plant biology organizations. The rented lists are mailing addresses only and do not include emails, phone numbers, or any other information collected by ASPB. Contact information obtained from order forms may be used by ASPB only for promotional communications. Only those contacts that have opted in to the list are included; users and members may opt-out at any time. ASPB members have the option to opt out of receiving communications from others when joining or renewing membership. Third parties are required to sign an agreement for agreed-upon use of member information. ASPB requires that third parties sign a contract to use the rented list only one time and only for the approved mailer. We work closely with these third parties and will notify you when we receive information about you from them, and we will notify you if we intend to share your data with them, as well as the purposes for which we intend to use this data. We will also tell you if we will combine the data collected from third parties with other data we have collected about you, and for what purpose. Financial information may be collected online when placing any order for services or products or in making payment for membership. The payment forms use Secure Sockets Layer – TLS 1.2 encryption to protect the cardholder data during transactions. Financial information that is collected is used to bill the user for products and services ordered. Financial information and passwords are never used for marketing purposes, nor will they be shared with any third parties except where third party manage the billing for ASPB. To allow you access to the ASPB site(s) and services. To identify you as a registered user. To enable access to the ASPB Online Community. To allow us to monitor usage statistics as a basis for future improvements to relevant website processes. To enable us to track system use by user. To help diagnose problems with our server and to administer our website. To assist users having issues with our websites, using their IP addresses. To order publications, products, services and meeting registrations. To make payment for membership. To manage the examination and assessment processes. To organize and deliver events. To deliver chat rooms, forums, message boards, and/or newsgroups. To use the information to help us improve our services; for example, enabling us to act upon the information you provide us or to deal with any complaints or concerns you raise with us. Where you have given your consent, for us to send you information and newsletters relating to our products and services using the contact details which you have provided. For research purposes. We will always seek your consent and may contact you by email, phone, fax or mail. We may use the information to customize the website according to your interests. If we are under a duty to disclose or share your personal data in order to comply with any legal obligation; or in order to enforce or apply our terms of supply terms and other agreements with you; or to protect the rights, property, or safety of ASPB, our members, or others. Exchanging information with other companies and organizations for the purposes of fraud protection and credit risk reduction and to prevent cybercrime. We retain your individual, private data for the life cycle of the Online Community, while you are a member of ASPB or you are an active user of any of our websites, services or systems. Financial information regarding any payment made for any services, memberships or activities are retained for the length of time required by law and best practices. We may be required to hold your data after you cease membership for legal or other purposes and for our records/archives. This is in line with data protection legislation and guidelines on retention of data. This may include retention necessary to meet our contractual obligations to you, to identify issues or to resolve legal proceedings. Membership terms, meeting attendance and other records are held on to for as long as you are active in ASPB, Plant Biology annual meetings or our other services and systems. If you request to be removed from our system and have all identifiable data removed, we will comply to the extent that we can, while following legal and best practices for holding onto records. Otherwise, your identity and information will be removed from all records upon request, although we retain aggregate information beyond this time for research purposes and to help us develop and improve our services. You cannot be identified from aggregate information retained or used for these purposes. to correct or modify personal data previously provided or held by us. Your right to withdraw consent: where the processing of your personal information by us is based on consent, you have the right to withdraw that consent without detriment at any time. When applying for membership, renewing, or updating member profile online. Using the automatic unsubscribe link in all promotional emails sent by ASPB. A cookie is a file that stores data on a user’s computer or returns it to the web server. The data in the file is information a user has entered using an online form or general information about the visiting user, such as IP address and country. A cookie can store information temporarily (session cookies) or permanently (regular cookie). All messages that contain viruses are quarantined and deleted. Messages that contain attachments that are known virus carriers. Messages that contain encrypted data, password protected documents or have encrypted signatures. Messages that contain movies or music files. In most of these cases a warning message is returned to the sender explaining that the message has been quarantined. Quarantine areas within the email security systems at ASPB are checked at regular intervals throughout the working day. Messages that are deemed ‘good’ will be released to their intended destination. Financial information may be collected online when ordering publications or in making payment for membership. The online forms are always encrypted with an SSL secured site using https. The SSL certificates can be verified by selecting the logo to the right. This encrypts the information during the transaction so as to secure the cardholder data from access by unauthorized users. Unfortunately, no data transmission or storage system is completely secure. If you feel that the security of your account or interaction with us has been compromised, please contact us immediately. If such a disclosure does occur, we will contact you as soon as possible to explain what has happened and take all steps required of us to meet our obligations under the relevant data protection legislation. ASPB will not initiate communication with any individual under the age of 18. If an underage individual initiates communication for specific information on plant biology, we will respond to their email with generic information and ask them to involve their parent/guardian in further communications. Public forums as defined below are typically not monitored by ASPB directly. Parents should caution their children when they are participating on any public forum. This site contains links to third party websites outside those affiliated to ASPB. ASPB, through its affiliate websites, is not responsible for the privacy practices or the content of third party websites. Once you have used these links to leave our site, you should note that we do not have any control over these other websites. Therefore, we cannot be responsible for the protection and privacy of any information which you provide while visiting such websites, and such websites are not governed by this privacy statement. You should exercise caution and look at the privacy statement applicable to the website in question. This site may make chat rooms, forums, message boards, and/or news groups available to its users. Please remember that any information that is disclosed in these areas becomes public information and that you should therefore exercise caution when deciding to disclose your personal information. Questions, comments and requests regarding this Privacy Statement are welcomed and should be addressed to as described in the About Us section, above. If you have a complaint, and we are unable to resolve it, then you may approach your local data protection authority. We keep this statement under regular review and will update this page. You should check this page from time to time to ensure that you are aware of any changes. This statement was last updated in January 2019. 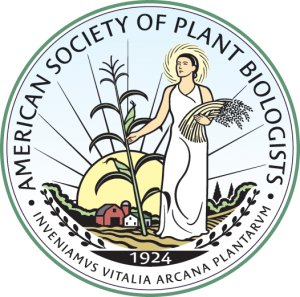 The American Society of Plant Biologists (ASPB) Online Community provided by the Society and is designed to facilitate communication among individuals for plant science-related purposes. ASPB has taken all reasonable precautions to secure the personal information available through the online community. The ASPB Online Community is password protected to allow access by registered individual only. Although this precaution should effectively protect any personal information available through the ASPB Online Community from abuse or outside interference, a certain degree of privacy risk is faced any time information is shared over the Internet. Unauthorized copying, reproduction, republishing, uploading, downloading, posting, transmitting or duplicating any of the material is prohibited. You may link to materials displayed on the ASPB Online Community for scientific, noncommercial and personal use only; provided, however, that you maintain all copyright, trademark and other notices contained in such material and you agree to abide by all additional copyright notices or restrictions contained in any material accessed through the ASPB Online Community. Use of information or communications available through the ASPB Online Community for any commercial, public or political purposes is strictly prohibited. Prohibited activities include, but are not limited to, solicitations for commercial services, cold-calling of any kind or mass-mailings for commercial purposes. Information available through the ASPB Online Community may be used for personal and scientific purposes only. Users shall not restrict nor inhibit any other user from enjoying any service on the ASPB Online Community. Posting of obscene materials or use of obscene language, posting of vulgar materials, or use of vulgar language, or use of abusive, defamatory, profane, or threatening language of any kind, will constitute a violation of these policies governing the use of the ASPB Online Community. Additionally, users shall not upload, transmit, distribute or otherwise publish any materials containing a virus or any other harmful component. Content posted may be removed by ASPB’s discretion at any time for any reason. All aliases adopted by ASPB’s Online Community users are subject to approval by the Society to ensure that the proper image is associated with the Society. ASPB is not responsible for screening communications in advance, and will actively monitor the use of the ASPB Online Community. It is essential that the users of the Online Community report any abuses or misuse of the Online Community to ASPB. If the ASPB determines that a user’s participation in the Online Community creates a liability for the Society or that the user has violated the policies set forth herein, ASPB reserves the right, in its sole discretion, to take actions against the user. ASPB reserves the right to expel a user and deny a user further access to the ASPB Online Community if such user violates these policies or any applicable laws or regulations. The reliability of the information available through the ASPB’s Online Community is largely dependent upon the actions of community registrants. The Society can make no representations about the accuracy, reliability, completeness, or timeliness of this information. The Society does not warrant that the Online Community web site will operate error-free or that the site and its server are free of computer viruses or other harmful material. To the fullest extent permitted by the law, ASPB disclaims all warranties, including the warranties of merchantability, non-infringement, and fitness for particular purpose. In no event shall ASPB be liable for any damages whatsoever, including, without limitation, incidental, consequential, or punitive damages, resulting from the use of or inability to use information or materials available on the Online Community web site. By using ASPB’s Online Community web site, you agree to indemnify, defend, and hold harmless ASPB, and their respective agents from and against any and all losses, claims, damages, costs, and expenses that may arise from your use of the ASPB Online Community web site or your breach of these policies. ASPB will provide notice to you of any such action or claim, and reserves the right to participate, at our expense, in the investigation, settlement, and defense of any such action or claim. Please note that ASPB may revise these policies and your continued use of the site constitutes your agreement to comply with such modifications. You should review the policies periodically to ensure that you are familiar with them. Participation in the ASPB’s Online Community is a privilege. For more information regarding the ASPB Online Community, please contact us.